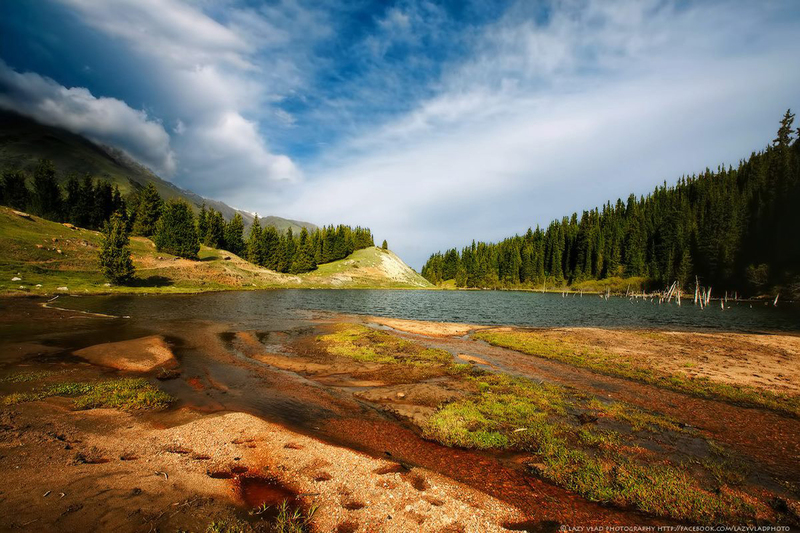 Chong Ak-Suu (Grigoriev) gorge is located 60 km from the town of Cholpon-Ata. 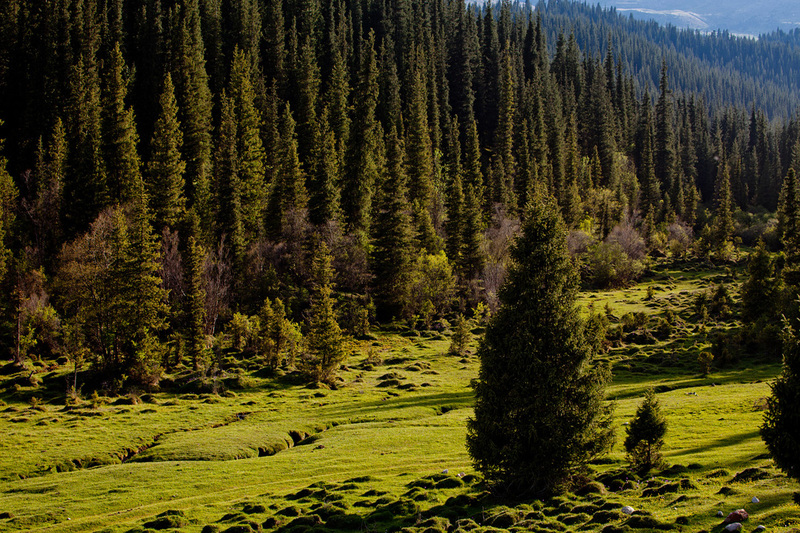 It descends from the Kungei Ala-Too and extends for 35 km along the shoreline of Lake Issyk Kul. The slopes of the gorge are quite flat, covered with forests of conifers. At the bottom of the gorge there is a river, carrying streams of glacier water. Wild sea buckthorn, raspberry and barberry grow on its banks. 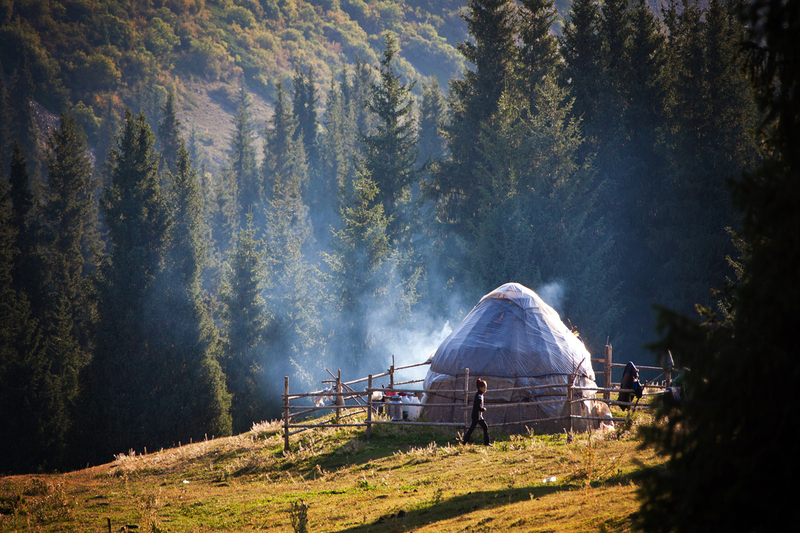 From June to September yurts are set in Chong-Ak-Suu, the inhabitants of which welcome visitors and help them to get acquainted with the nomadic way of life. In the gorge you can make a trip to the three high mountain moraine lakes. 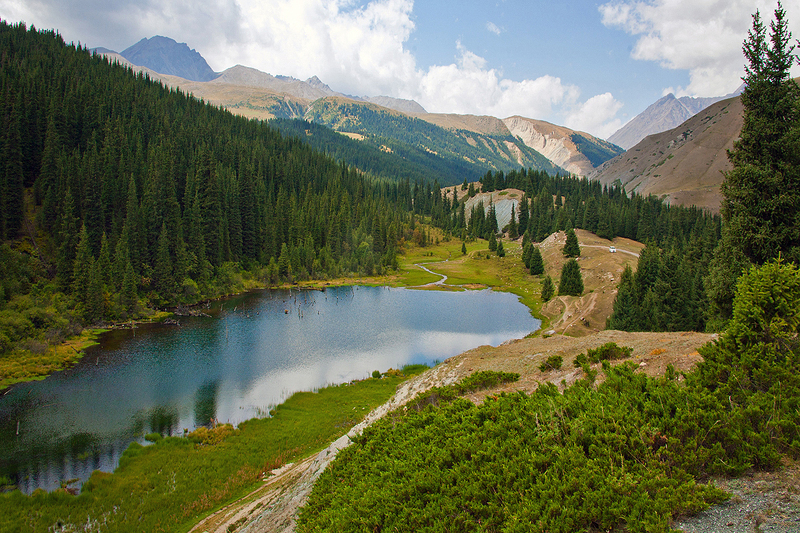 In the first half of the valley is the Nizhnee (“The Lower’) Lake, above it, at the place called At-Jailoo is the Lake (“The Middle”) Srednee, and 6 km from it is situated the beautiful Lake (“The Upper”) Verkhnee. 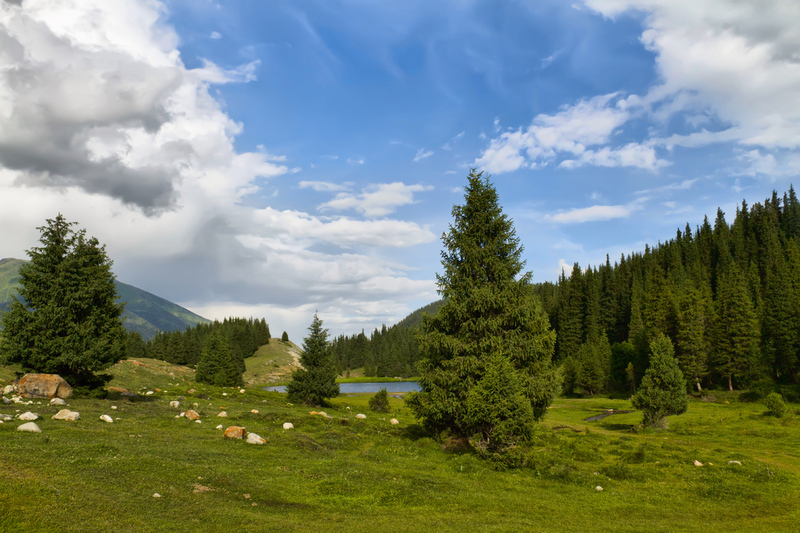 Further, at the altitude of 3000-3500 m is the zone of alpine meadows. 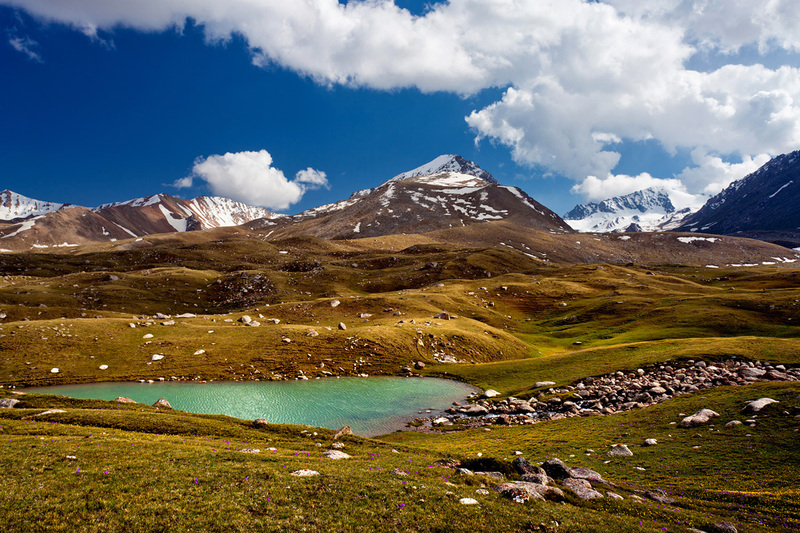 Above the valley are the two most beautiful snow-capped peaks: Kum-Bel (4200 m) and Eshenbulak (4647 m).